The Genesee County Land Bank celebrated 10 years of restoring value to the community on December 7, 2014. We have had many great accomplishments in these first 10 years in removing blight, empowering residents, revitalizing neighborhoods and supporting vacant land re-use. 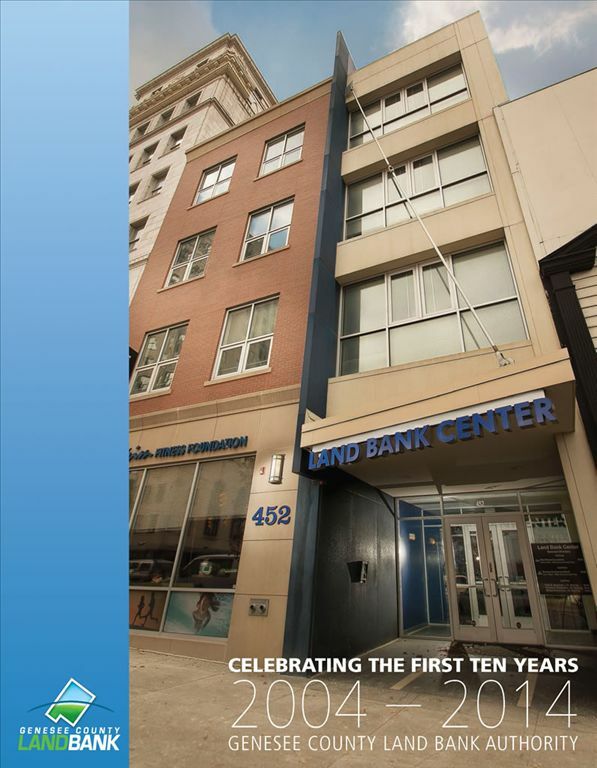 Click here to see the story of the Land Bank’s first 10 years. Check out the photos of the Genesee County Land Bank’s 10th Anniversary Celebration at The Durant here. Thank you Flint and Genesee County for a great first 10 years, we look forward working with you to make the next 10 years even better than the first! The Land Bank produces a quarterly newsletter, Building a Better Tomorrow, and and annual report. Our newsletter provides updates and highlights of our programs and policies. Our annual report is published in place of the winter issue of our newsletter each year. The annual report includes yearly summaries of our work and its impact. All volumes of our newsletter are available below. Simply click on a particular issue to download and view it. You can sign-up to receive our newsletter by mail and/or e-mail by typing your email address at the bottom of this page.